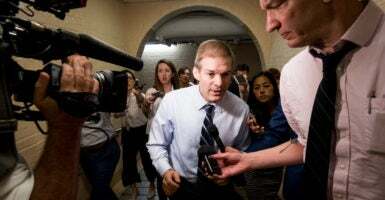 Jordan has represented Ohio’s 4th Congressional District since 2007 and was the first chairman of the House Freedom Caucus, a group of about 30 conservative legislators. The Ohio lawmaker said in April that he would be “open to running” for speaker of the House when Speaker Paul Ryan, R-Wis., steps down at the end of the year. Hellickson said that Jordan was a man of character who would not have ignored sexual misconduct had he been aware of it. We dealt with many challenges together when he was one of my assistant coaches, and it’s important to know that neither Jim nor I would sidestep or avoid challenges for our wrestlers, just because the circumstances were painful or uncomfortable. In fact, those are the kind of circumstances that motivated Jim the most. At no time while Jim Jordan was a coach with me at Ohio State did either of us ignore abuse of our wrestlers. That is not the kind of man Jim is, and it is not the kind of coach that I was. On April 5, Ohio State University announced that it was investigating the alleged actions of Strauss and the administrators of the wrestling program during Strauss’ tenure. “The university recognizes and appreciates the courage and assistance of those in our community who have come forward and contacted the independent investigators about former university physician Dr. Richard Strauss, who was employed at the university from 1978-98 and died in 2005,” Benjamin Johnson, director of media and public relations at Ohio State, said in a statement provided to The Daily Signal. “We are deeply concerned for everyone who may have been affected by his actions,” he said. 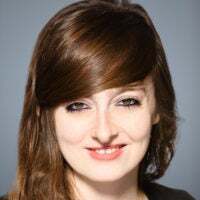 Johnson said the Ohio Attorney General’s Office appointed the law firm Porter Wright Morris & Arthur LLP as legal counsel for the university and that Porter Wright brought on Perkins Coie LLP to conduct an independent investigation of the matter. Lee Kemp, a three-time gold medalist in the world championships, a four-time gold medalist in the World Cup of Wrestling, a two-time gold medalist in the Pan American Games, and a seven-time national champion, said it would not be in Jordan’s character to ignore sexual abuse. Jim also never took shortcuts or ducked challenges. That’s not how he became a champion, so the idea that Jim would know of abuse of his wrestlers and do nothing is utterly absurd. I first saw Jim Jordan’s tenacity in wrestling. America has seen how tenacious Jim Jordan is in Congress, and that same tenacity is exactly what Jim would have brought to [preventing] abuse of wrestlers in his charge if he had known about it. The accusations against Jordan arose when Mike DiSabato, a former wrestler at Ohio State University, told NBC News in an interview that there was no way Jordan could not have been aware of the sexual misconduct. But George Pardos, a wrestler who Jordan coached, told The Hill that it would have been “out of character” for Jordan to have known about the abuse and done nothing.